Once overshadowed by painting, sculpture has high status as an art form in 21st-century New Zealand. Sculptures are displayed not just in galleries, but are often found outdoors, making them accessible to all. New Zealand sculpture in the 19th century was mainly in a European style. Major public sculptures were often made overseas and imported. These included four statues of Queen Victoria in Auckland, Wellington, Christchurch and Dunedin, which all date from around 1900. Memorials commemorating the South African War and the First World War provided opportunities for sculptors. Carlo Bergamini, an Italian immigrant, designed South African War memorials in the lower South Island which included some New Zealand motifs. One of these was Zealandia, a female personification of the country. Other sculptors began to include New Zealand subjects, for example an ANZAC soldier, Māori navigator Kupe and a ‘Māori Madonna’. However, the style of sculpture remained traditionally European. Art teacher Francis Shurrock worked to raise the status of sculpture, which had been seen as a lesser art than painting, and R. N. Field began to make sculpture in a less realist style. In the 1950s an exhibition of work by British artist Henry Moore introduced many New Zealanders to modernist sculpture. Some important New Zealand modernist sculptors were Molly Macalister, Russell Clark, Paul Beadle and, later, Greer Twiss. 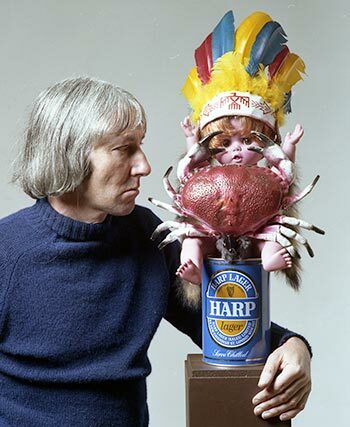 In the late 1960s Jim Allen became New Zealand’s first ‘post-object’ artist. He created art installations out of ordinary materials such as wire and polythene, which people could move through. Christine Hellyar’s installations were subtly feminist, for example ‘Country clothesline’ (1972), which was made of items of clothing dipped into latex and hung on a washing line. Chris Booth, whose sculptures are usually made of stones or wood and are often set in the landscape the materials came from. Māori sculptors work in a variety of styles, and some draw on their cultural heritage in their work. Arnold Manaaki Wilson, the first Māori to graduate from art school (in 1953), was inspired by Māori woodcarving traditions. Jacqueline Fraser used non-traditional materials such as wire and plastic, but with Māori motifs. Michael Parekowhai represented New Zealand in the 2011 Venice Biennale. He has drawn on New Zealand’s Māori and European heritages in his work. Len Lye is best known for his kinetic (mechanically moving) sculptures, some of which have been erected in public places. His ‘Wind wand’ is on the New Plymouth waterfront. In the early 2000s several sculpture events were held regularly. A number of sculpture parks were open to the public, and sculptures are displayed in public places in cities and towns.